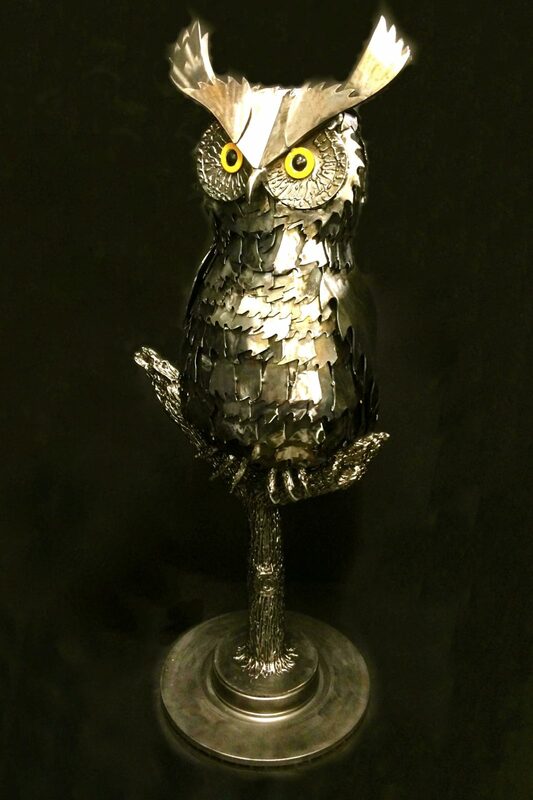 "Great Horned Owl" Materials: Saw blades, pipe, washers, ball bearings, round stock, square nails, brake disc, weld, paint. 36” x 16” 58lbs. $850. SOLD.